The Digital Marketing world is changing even more in 2017. Facebook is nearly at 1.8 Billion users, over 50% of search is mobile and Instagram and Snapchat are used more now in Ireland daily than Twitter. It's not enough to “be online” you have to be in multiple online places where the rules of engagement can be quite different. You're now spinning plates and Mulley Communications will show you how to be a champion at it. • A better understanding of all the types of customers you have or can have. • Know how to best get the attention of these people. 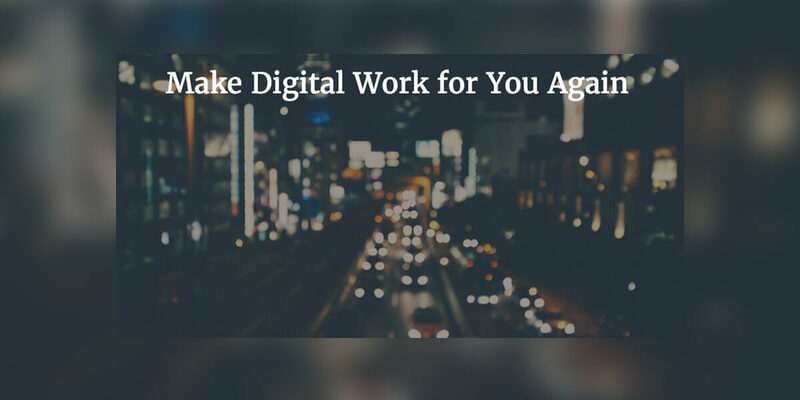 • Make digital/social networks work for you instead of you working for them. • Make your time and therefore money more efficient with digital. • Use existing business metrics to measure your digital performance. • Have a toolkit/bag of tricks that you can use for all things digital. •Work on automating as much of this as possible so you can do other things. There will be a maximum of 8 on this course so everyone gets attention. 2 max per company. Each participant will have a 45 minute one to one follow up Skype session with Damien Mulley. There will be a lot of practical exercises: This aids learning and retention of the material. Everyone attending gets a delegate pack with training material and worksheets to do on the day and back at work. The course is in a nice central location with lunch/tea and coffee included.